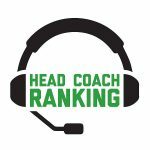 Last June, Head Coach Ranking put the coaching spotlight on Minnesota Vikings assistant Drew Petzing, who has taken on larger roles with the team every year since coming on board in 2014. The trajectory continues this year with his recent appointment to wide receivers coach. The Minneapolis Star-Tribune profiled Petzing on Monday, detailing his path from student volunteer at Middlebury College in Vermont to unpaid intern at Harvard and eventually low-paid intern with the Cleveland Browns. Petzing worked under Norv Turner in Cleveland and followed Turner to Minnesota in 2014. As we noted in our story last June, Petzing joined the Vikings in 2014 as an offensive assistant. He worked with running backs and receivers his first four years in Minnesota and was named quarterbacks assistant last year. Petzing has excelled at helping the development of young players, and he has earned the respect of NFL players despite never having played in the NFL himself (in fact, Petzing never even played college ball – he was supposed to play defensive back at Div. III Middlebury but injuries ended his career before it ever started). • Down by two scores, the Lions decided to go for it despite being deep in their own territory. Matt Stafford dropped back and was sacked by Vikings linebacker Eric Wilson and the Vikings took over on downs. • Minnesota won a key game, but the coaching staff cannot be pleased with how they played in the first half. The Lions opened up a 9-0 lead and Minnesota looked to be in trouble, until the end of the first half. Kirk Cousins dropped back and threw a Hail Mary pass into the end zone that was caught by Kyle Rudolph to give Minnesota the lead at halftime. • The Vikings defense played well and held Detroit to 223 yards of total offense, only 137 yards passing. The Lions were shutout in the second half and could only muster 74 yards of offense. • Minnesota controls their playoff destiny and if they win next week against Chicago, they will clinch a spot in the playoffs.